So last year I used part of my bonus to by myself a Raspberry PI, it’s something I’ve wanted for a while now and I thought I’d get a head start to learn the ropes well before Little Troll set his sights on one. 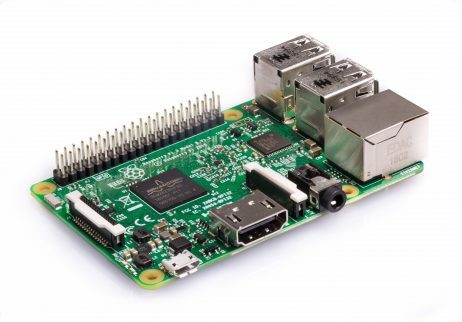 If you aren’t aware of the Raspberry PI, it’s a tiny single-board computer, primarily aimed at teaching computer science, the revision of the board I own (3) has built in wireless, so doesn’t require a separate dongle. The HDMI output is the primary method of seeing feedback from the device, when you are using it with a GUI, this is fine with you have a spare TV or Monitor to use, however in a home with only one TV, it’s a little rude to commandeer the TV especially when you are a guest at someones home. Luckily for Christmas I was gifted some money and amazon vouchers so, I decided to push the boat out and purchase an official 7 inch touchscreen and a case to hold both the PI board, the screen and the additional wiring. 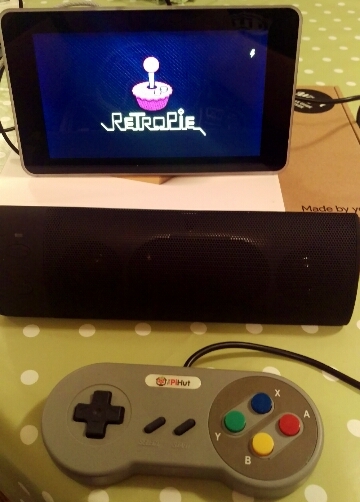 I liked the idea of the screen and it’s been perfect for the small projects I wanted to attempt while travelling for New Years, one of these was of course firing up Retro PI, which definitively works well on the smaller screen and with some controllers hooked up. I was also pleased that it can all run off a USB Power Bank, allowing us to play games where-ever we fancied. The only issue with the screen housing is that swapping OS/Boot MicroSD cards isn’t too easy. My next project is Assembling the AIY Voice project from Google which is effectively a voice controlled assistant, this was my Christmas Present from Little Troll so may try and get it built with him tagging along, before he starts back to school after the Christmas break. Future projects include getting my Blink(1) working with the PI and learning more Python.